My Sicilian friend and neighbor Antonio, who for years ran a great Italian restaurant here in Malibu, Tra di Noi, showed me such a simple way to cook vegetables. He told me that most people overdo it by putting way too many spices in there, or they cook it too much. His way is so simple and I love it. 1Clean and chop veggies to the size you want to serve them. 2Heat up Olive Oil, Saute Veggies, adding salt and pepper along the way (more than you think of both); remove when they are the consistency you want. 10 minutes is a good amount of time. 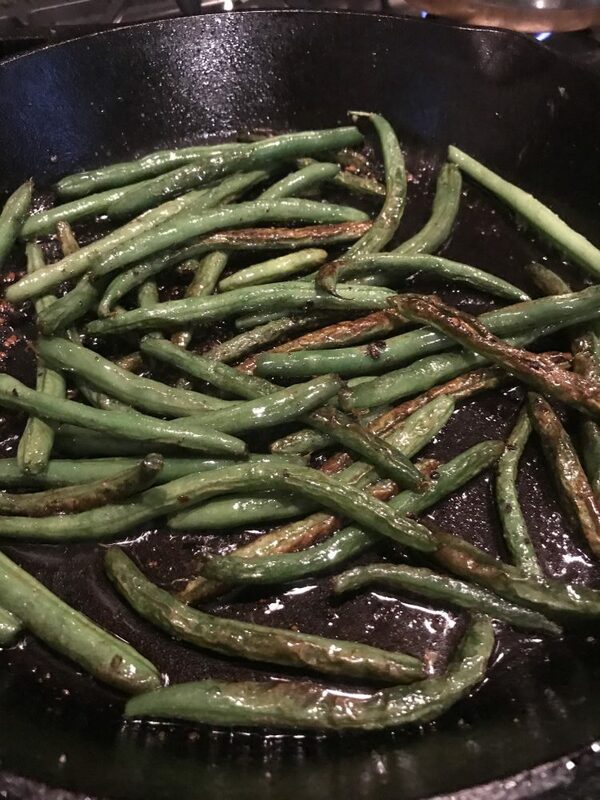 Green beans sautéed to perfection. Definitely heed the “more than you think of both” when it comes to salt & pepper!